Leading flooring manufacturer Interfloor has revamped its Gripperrods ® carpet gripper range to give retailers a highly competitively priced British-made quality product that stands out from the competition. Interfloor’s ‘Regular’ carpet gripper is now being manufactured as ‘Gripperrods ®Standard’ gripper at its Dumfries factory using high quality birch wood and is engineered to give a technically superior performance compared to alternative products. The entirely UK made gripper range means customers will benefit from improved quality as well as knowing they will be supporting local industry and reducing the environmental impact associated with Chinese production. The differentiated Gripperrods® range now has improved branded packaging and POS and comprises four products: Gripperrods® Standard, a competitively priced entry level gripper; Gripperrods® Tackfast, the best-selling gripper; Gripperrods® Professional, a top of the range gripper, which is best in class; and Gripperrods® Contract, a wider gripper for more specialist commercial applications. The Gripperrods® Professional and Gripperrods® Tackfast products include a number of new features designed to give greater stability in all types and qualities of sub-floor. Both have improved specifications including wider strips (27.11mm and 24.03mm), and more floorholding pre-nails and precision pins per length. “By bringing manufacturing of our entire range back to the UK we can guarantee quality and service. 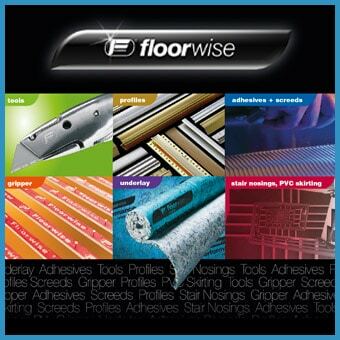 This, coupled with the enhanced specification of the premium products, makes us confident that the new Gripperrods® range provides clear benefits for both retailers and installers looking for quality products at an affordable price and which offer unbeatable performance,” said Interfloor CEO John Cooper. If the gripper made every year was laid in a long line, it would reach almost three quarters of the way round the world!